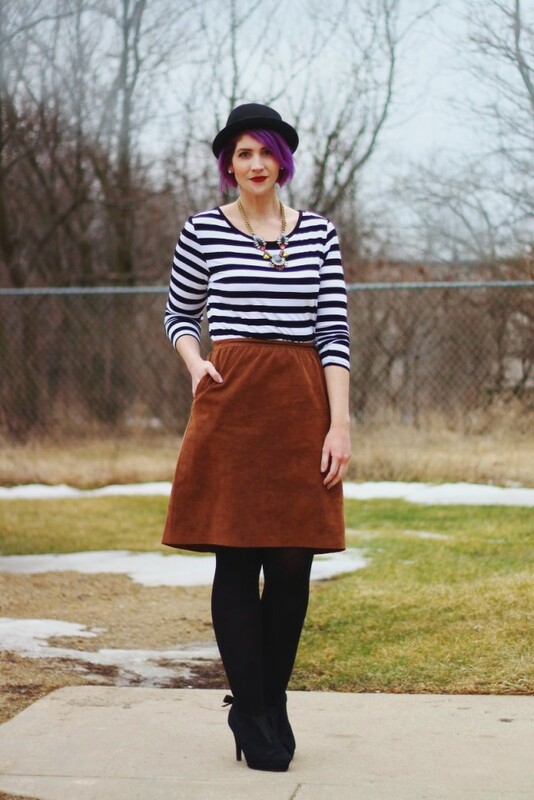 Take my money and my phone but please don’t take this brown suede skirt from me! 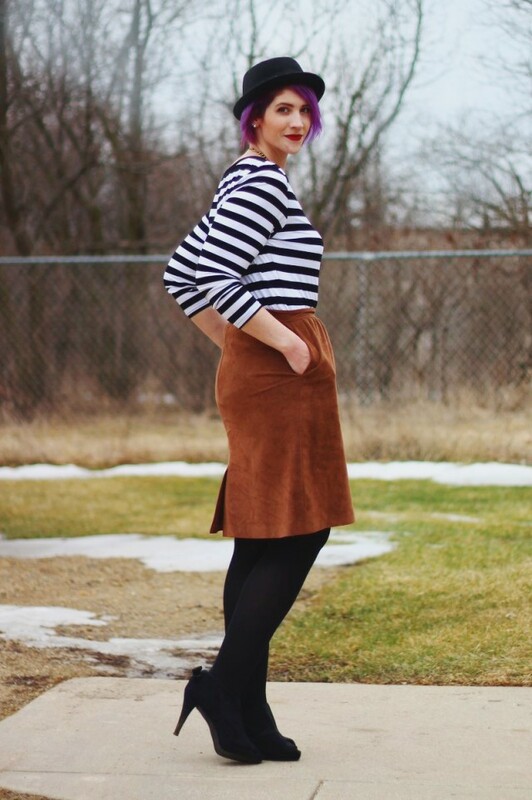 This suede skirt was only thrifted at the start of the month and it’s already been in heavy rotation. 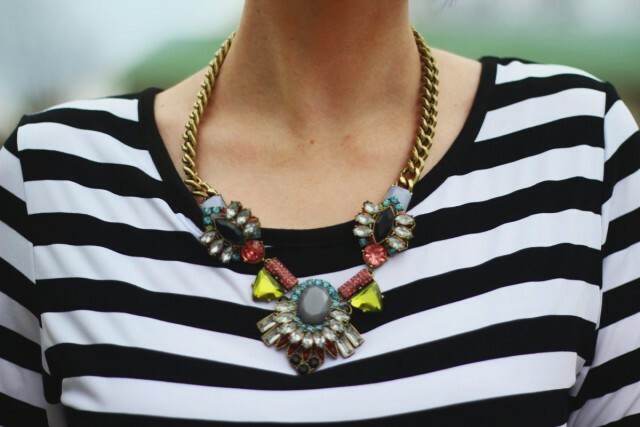 I’ve previously styled it it with my fave leopard print coat, for Valentine’s day, and now it’s getting worn again today with stripes and a statement necklace. Do I really live up the name The Outfit Repeater or what? 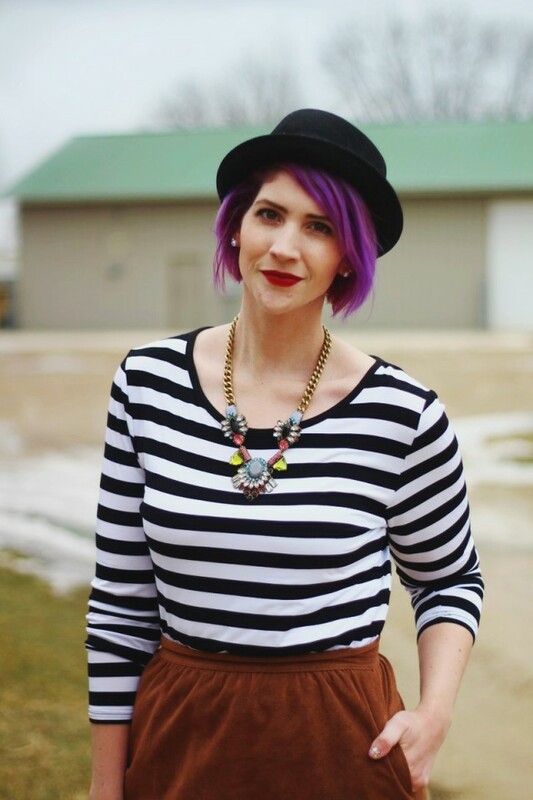 This was actually the first outfit I ever tried with this skirt because I had a feeling that stripes and black accessories would give off a really chic vibe. I’d say that was right! I’m already dreaming of the next outfit I’ll come up with using this skirt. A late night scroll through Pinterest (follow along with me here!) led me to a look with denim and a similar skirt. I always seem to overlook the obvious (like jumping to a bold pattern and equally bold lip) so it seems stupidly simple to pair it with denim. Another way I overlooked the obvious? My usual pair of black tights have finally bit the dust so I’m forced to get more creative with my choices. I could just replace the tights and get on with my life but where’s the fun in that? 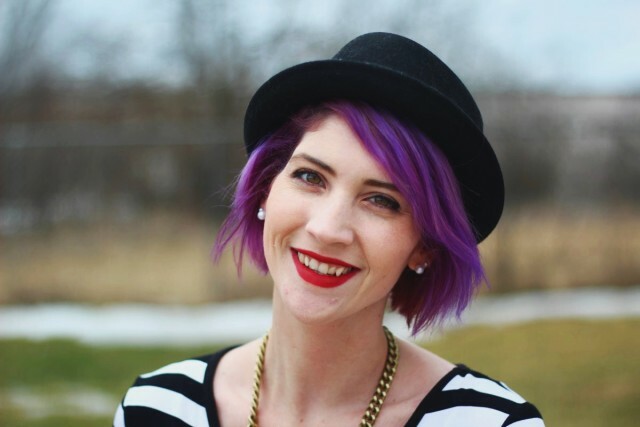 For this outfit, I pulled out a pair of black tights I bought from Target that have tiny jewels scattered on them. TINY JEWELS, YOU GUIYZ!! 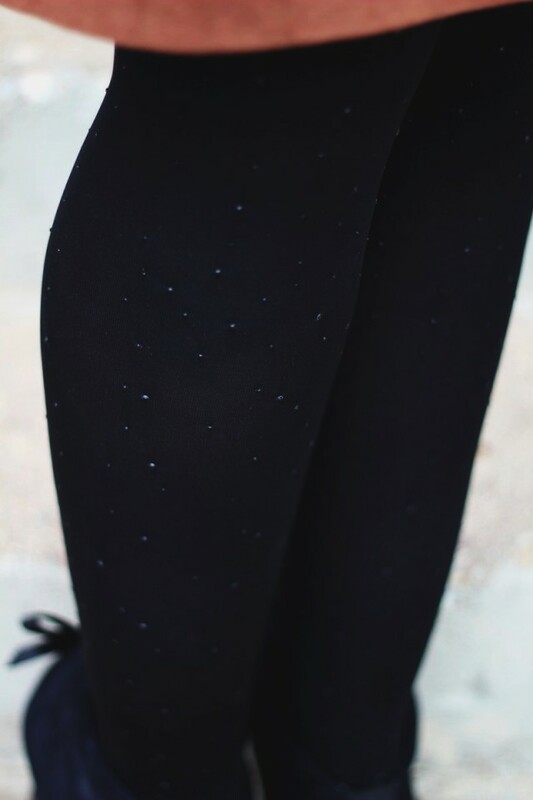 It’s not something you’d really notice unless you were staring at my legs from an inch away (um, please don’t) but it’s fun having a detail that’s like my own little secret. Well, I guess since I shared it here, it’s now our little secret. Definitely rush out to Target to see if these are still available for you!